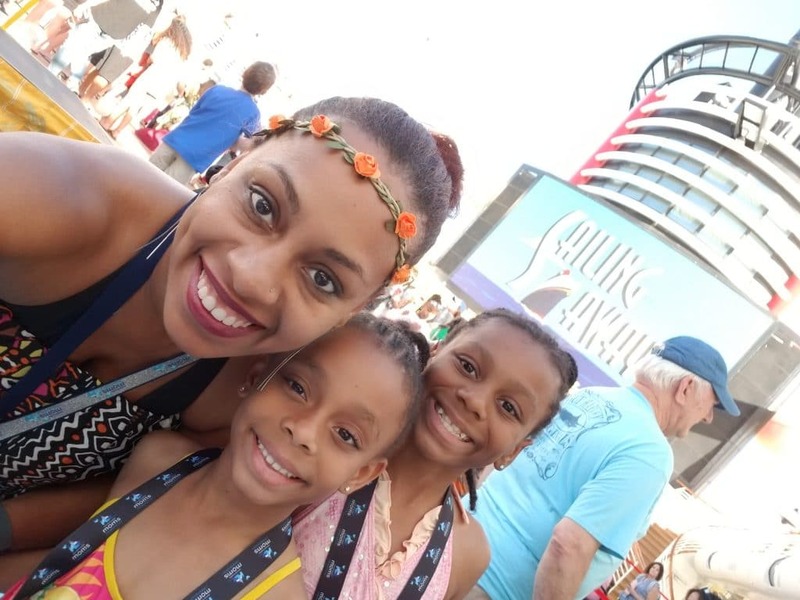 Earlier this year, my family had the opportunity to take our very first Disney Cruise on the Disney Dream as part of the Disney Social Media Moms Celebration-Land and Sea Adventure. I had sooo many questions before my cruise and did just a ton of research ahead of time to prepare. When I returned, friends of mine had a ton of questions as well, so I decided to share my Disney Dream Cruise tips as a guide for other first time Disney Cruisers in this 2-part post! What Disney Cruise Line ships are offered and where do they go? 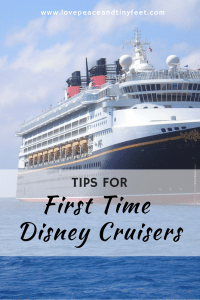 First, you should know that the Disney Cruise Line and currently offers four ships – Disney Magic, Disney Wonder, Disney Fantasy and the Disney Dream that we got to experience. I want to stress the word currently because we actually got a heads up about brand new fleet Disney Cruise Line will be adding in 2021, 2022, and 2023. These cruise ships go to various domestic and international locations – including Bahamas, Alaska, Mexico, the Caribbean, Europe, and more. Each provides a unique way for you and your family to experience the Disney experience and magic you and your family have come to know and love. With several different destinations and cruise themes you are sure to find one that your whole family will enjoy! 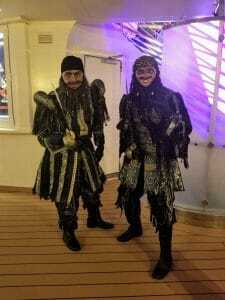 As I mentioned, we got to experience the Disney Dream Cruise exclusively. On board the Disney Dream Cruise Line, there are 14 different decks that offer various types of entertainment and activities to suit the whole family. The Staterooms were pretty roomy for a cruise ship, so you are sure to have enough space for everyone. Plus, enjoy a stop at Disney’s personal island Castaway Cay and another stop in Nassau, Bahamas. Regarding the staterooms, it took us a while to realize that there were actually bunk beds in the room that the team takes down at night. It’s important to note that when you board the Disney Cruise Line, you’re given what is called your Key to the World Card. This card is extremely important to hold on to! It not only gives you access to your stateroom, but you also use to make charges aboard the ship, to re-board the ship after each port of call, kids club, and for other important information you need for your cruise experience (such as dining reservations) . Every day you are aboard the cruise you will find activities to suit everyone’s preferences throughout the ship. Your room attendant will leave you a list of activities going on the following day for your reference. Additionally, if you download the Disney Cruise Line App ahead of time (which I highly recommend), you can view all of the activities in real time and even create an itinerary for yourself and your family. While on board the Disney Dream Cruise Line, you will have the opportunity to join in the fun on a couple of different deck parties. The first one was a Sail Off party where we all gathered on the deck with music, dancing, and entertainment to celebrate as the ship leaves the port. Saturday night was the highly anticipated Pirate Night where the whole ship gets all decked out (pun intended) in Pirate gear for a super fun deck party, again, with music, live entertainment, dancing and more! There are actually 2 opportunities to take part in this celebration. During the live shows, you will have the opportunity to experience award-winning musicals nightly. 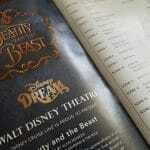 The Disney Dream Cruise only recently introduced the Broadway-caliber show Beauty and the Beast for guests to see live a couple of times while on the ship. The girls and I got to experience this and absolutely loved it! Throughout the ship, you will find Disney Characters at designated times and locations just waiting to meet you and your family! You can grab a hug, snap a picture or, just say hi. Download the Disney Cruise Line Navigator App for specific times and locations, but also keep your eyes peeled as you never know when you will come across someone. One of the coolest things on the Disney Cruise Ship is the fact that they’ll be showing the newest Disney movie (possibly even in 3D) in the Buena Vista Theater! These are films that are either still in theaters or may have only recently been released on Digital. While we were there, we were excited to go see the movie Black Panther as a family. This was one of the things I’ll admit I was pretty nervous about at first, but our kids absolutely loved the Kids Cubs aboard the Disney Dream Cruise. They stayed in the Oceaneer’s Club and Oceaneer’s lab, where there were tons of activities, technology, crafts, dancing and more for the kids to enjoy. These kids clubs are open from morning until about 1 am and they do offer meals in the clubs, so parents can get a pretty great break while on the Disney cruise. It was very secure for the kids, as they could not leave with anyone who’s not designated and they require a special password in addition to your Key to World Card. Side note – I have to mention that these rooms were super hygienic! Before entering, parents and children are forced to wash their hands in a really cool sink machine that sprays your hands with soap and water for the recommended amount of time for hand washing. I just thought that was really cool. Additionally, there is a nursery are for babies on the ship as young as 6 months old tweens and teens also have their own space too. On the deck, you’ll find there are several pools and a hot tub, including pools for the kids and adult-only pools. Plus, you will find the AquaDuck, which is the giant water slide, for those who are more thrill seekers. Just because you are on vacation doesn’t mean you need to step away from your exercising routine. Feel free to use the full service fitness center to keep to your routine. You can also attend exercising classes in the fitness center. On Goofy’s Sports Deck you can play a round or two of mini golf or shoot hoops. Take time to relax at Senses Spa and Salon, grab a drink in The District, dine at Palo or Remy, watch the game at the pub or go to Evolution for some dancing. Yes, though you’d think a Disney cruise is just for families with kids, there are tons of adult-only activities on the Disney Dream Cruise to enjoy! From breakfast to dinner you can find something to tickle your tastebuds at Cabana’s buffet. Flo’s Cafe offers your more American style food with burgers, pizza, chicken and salads. Frozone Treats and Eye Scream are the place to go if you want to cool down with some ice cream or smoothies. Don’t forget that you can also order room service free of charge 24 hours a day with a limited menu. Although…pro-tip: there are a few hidden room service menu options you can also request! The way the main dining works is that your Key to the World card will show your family’s dining time and restaurant “assignment” for each day. You will get to experience each of these, but on different days of your cruise. 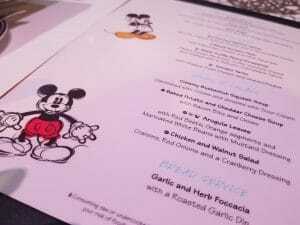 Dining options on the Disney Dream Cruise include The Animator’s Palate, Royal Palace and The Enchanted Garden. You are given the same set of servers each night at your designated restaurant, which is just part of the incredible way Disney gives you that truly customized and magical experience. If you are looking for a date night, Palo’s is the place to go. Nothing says a romantic night like Italian food! If French is more your speed you can enjoy a wonderful dinner at Remy’s. See: Why Disney Cruises Love Vegans too! What is included in the cost of the Disney Cruise? 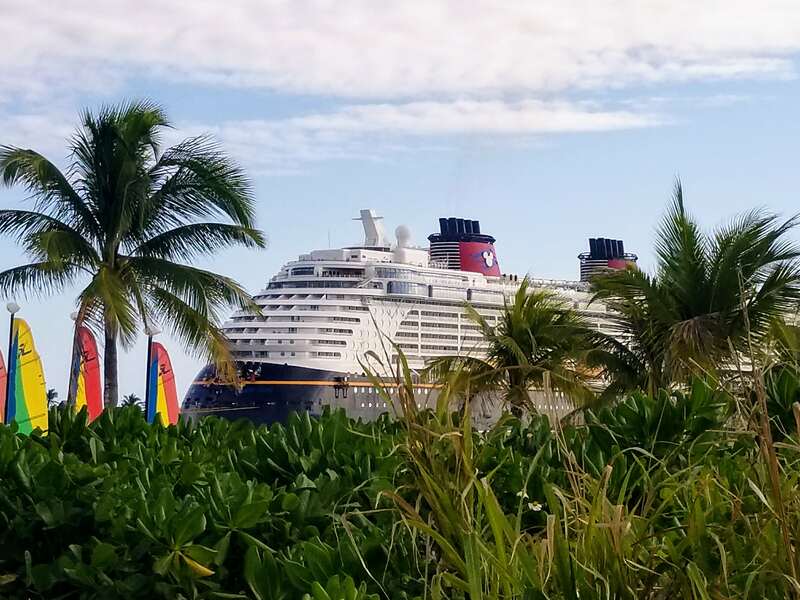 Although I had the opportunity to experience the Disney Dream Cruise at a deeply discounted rate through the Disney Social Media Moms Celebration, believe me, I get that the cost of a Disney Cruise is a question many people have and particularly, what’s included and is it worth the cost? In short, I will tell you that while there are certainly cheaper cruises to go on, the amount and level of detail that goes into creating your Disney Cruise experience is unparalleled. I mean, of course, if you just love Disney, it’s a no-brainer. However, I will say that everything was completely top-notch – from the food to the room accommodations to the entertainment and more – that make the Disney Cruise Line well worth the expense. The cost of your ticket covers almost all expenses aboard the cruise, including rooms with plenty of space for the whole family, a large variety of options for dining plus room service at no additional cost, stellar family entertainment, childcare for the kids (again, the Oceaneers Club and Lab were such a hit! ), adult only entertainment, and of course pools and other activities. A few additional costs that could incur while on the ship include gratuities to the staff, alcoholic beverages, dining at the adult-only restaurants Palo and Remy, special experiences for kids such as Bibbity Boppity Boutique, and excursion activities and meals on Castaway Cay, Disney’s own private island in the Bahamas. Beyond what I have mentioned here there is so much more available aboard the Disney Dream Cruise Line and a truly magical experience! After experiencing this, I can honestly that it has become on of my family’s most memorable travel experiences. Whether it is Disney Dream Cruise Line or another Disney Cruise Line, I highly suggest that you experience it at least once in your lifetime! 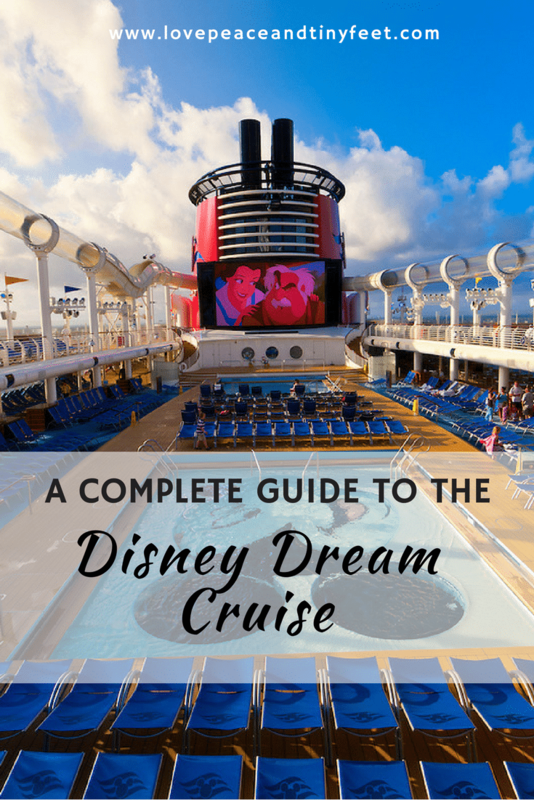 A Complete Guide to the Disney Dream Cruise, plus tips for First Time Disney Cruisers!